LOS ANGELES – July 3, 2018 – Home improvement reality television shows misguide consumers about the renovation process, and most Realtors have encountered buyers who are obsessed with channels such as HGTV. If so, many have developed some common misunderstandings about the real time and effort it takes to remodel a home. Fox News recently highlighted several myths these shows tend to generate. Myth 1: The answer to creating more space? Knock down walls. Designers on television often make major changes to floor plans to increase the dramatic effect, but large undertakings such as removing walls aren't always necessary – or wise. "When someone buys a 1990s-era home – which [usually were] built quickly and on the cheap – we can't rip out walls," says Teris Pantazes, a Baltimore contractor. "It's important for a home to have good bones. I have been in this business for a long time, but I'm not an engineer. I still have customers question me, and I see them waste tons of money to verify what I already told them." Myth 2: The typical remodeling project can be completed in a day. Viewers may forget that fitting an entire narrative into a 30- or 60-minute show requires editing out some – or most – of the actual renovation process. Clients may falsely believe real-life work can be done as quickly as it appears on TV. "The number one problem with real estate television shows is that they significantly shorten the amount of time that almost anything takes for the purpose of advancing the narrative," says Kevin Deselms, a sales associate with RE/MAX Alliance in Golden, Colo. Myth 3: The permit process is a simple, insignificant part of the equation. Remodeling, especially when it involves additions to a home, often requires securing building permits from the local government – which can significantly slow the timeline of a project. "HGTV shows sometimes discuss the need for permits, but they don't often show how this process can slow the entire project," says Jeffrey A. Hensel of North Coast Financial Inc. Waiting for permit approval can increase time and budget by 50 percent, he says. Myth 4: For higher ROI, go bigger with renovations. "HGTV shows like to feature flips with full kitchen and bath remodels because the before-and-after shots make for more compelling viewing," says Bobby Montagne, CEO of Walnut Street Finance. "In fact, aspiring fix-and-flippers are often better off doing small-scale renovations that just need carpet, paint and some freshening up – especially for their first projects." 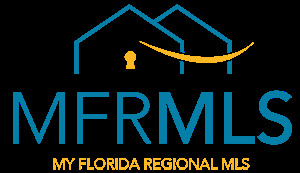 Information provided by Florida Realtors. Click here to see the original article. Do you have questions? Would you like more information?